A good Friday to you, mystery readers! Here's another fresh set of staff favorites for Spring! This monthly selection of favorites (and a slew of other new mystery-related content) is available every month in our newsletter, which is available via subscription (email or print), as well as directly through our website. Signed books are available online (linked after each review). Unsigned books are available by calling our store at 212-587-1011. If you're looking to order both signed and unsigned books, you can call in your complete order anytime from 11 AM to 7 PM, Monday through Saturday! Here's hoping some of these titles pique your interests as they did ours! Peter Swanson, Before She Knew Him, Morrow. Swanson has quickly become one of the masters of the suspense novel and I’ve been a fan ever since his debut, The Girl with a Clock for a Heart. In this latest effort, the author has put his central character, Hen (the infelicitous shortening of Henrietta), in an untenable position. Already branded with poor behavior (okay, it was a psychotic episode) due to psychological problems when she was younger, she becomes convinced that Matthew, her next-door neighbor, is a murderer—and probably a serial killer to boot. When she and her husband are invited for dinner by their neighbors, Hen spots what she is certain is evidence in a murder that took place years ago but neither her husband nor the police believe her. Further convinced that Matthew will strike again, she becomes obsessed with proving him guilty, even following him late at night. Much of the narrative is from Matthew’s point of view and we quickly learn that he believes he is a knight, protecting vulnerable women from bad men. His teaching colleague tells him that she just knows her boyfriend is cheating on her, so Matthew makes a plan. “If he could find a way—a flawless way—to murder Scott Doyle, then he would do it. 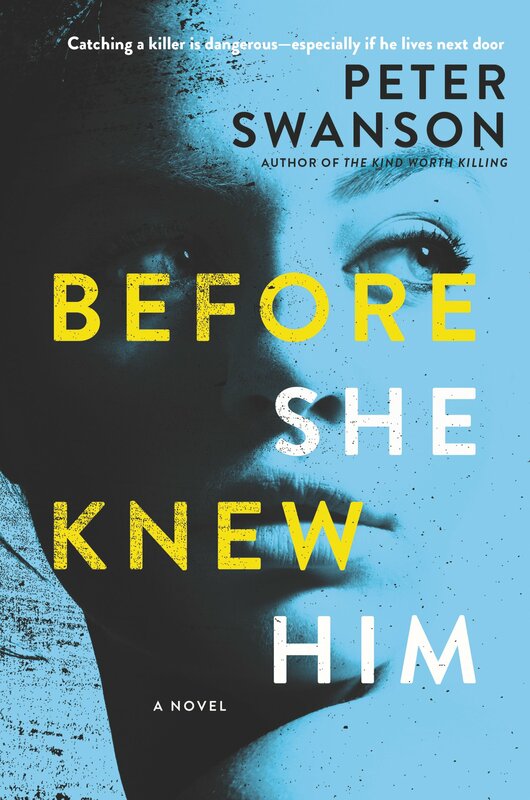 He would rescue Michelle.” The hallmarks of Swanson’s novels are the relentless ratcheting up of suspense and the unexpected twists that keep coming, and which are abundant in this new thriller. Signed hardcover available soon. $26.00. Gioacchino Criaco, Black Souls, Soho Crime. 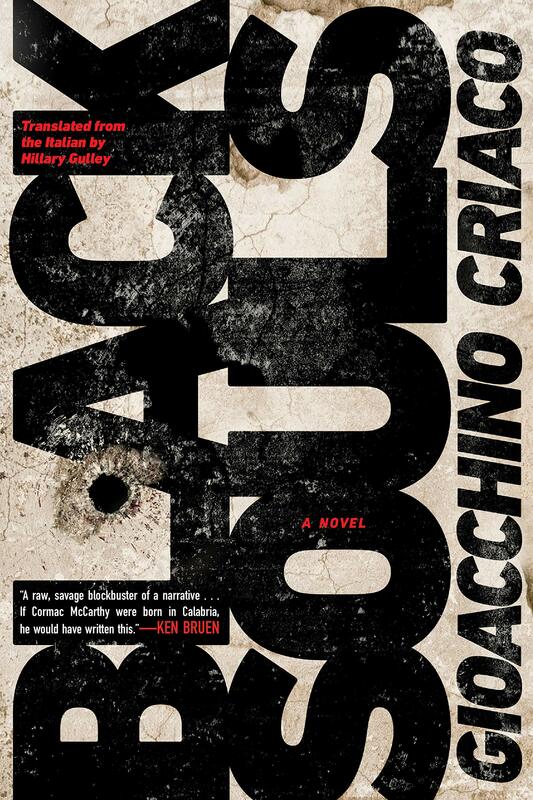 Black Souls is a chilling novel of corruption that couldn’t have been written by anyone besides Gioacchino Criaco. The book follows a group of friends, humble shepherds in Itlay’s Calabria region, as they evolve from petty crooks, to armed robbers, to drug barons, to killers. The greater their power, the lower the world around them sinks into mistrust, betrayal, and pain. To distill Black Souls to its plot elements is to do it a great disservice. Even in translation, each page is packed with an undeniable savage beauty. From gorgeous descriptions of life in the mountains, to heartstopping gang murders, the book has an almost mythical quality, all while remaining firmly rooted in reality by unnervingly credible criminal details. Brief in length and epic in scope, Black Souls is a masterpiece of gangland tragedy. Hardcover available. $25.95. How did Bernie Gunther end up on the Murder Squad? Haven’t you ever wondered? To find the answer, let’s go back to 1928 Berlin. Ten years after the Armistice, the war’s effects are still being felt, mainly in the chaotic daily life still prevalent in the capital due to the huge gap in the male population; as well as the lingering effects of the recent hyper-inflation. The result is a great number of people struggling to survive, whether by begging or women taking to the streets or portable gambling dens or selling ‘snow’ which was not then illegal. Into this morass, a new wrinkle: someone is murdering Berlin’s prostitutes--and then scalping them! But many in the city don’t feel that this is necessarily a bad thing, ridding Berlin of miscreants and drags on society can only help in the long run, it is argued. Perhaps the answer is a more authoritarian direction for the society? 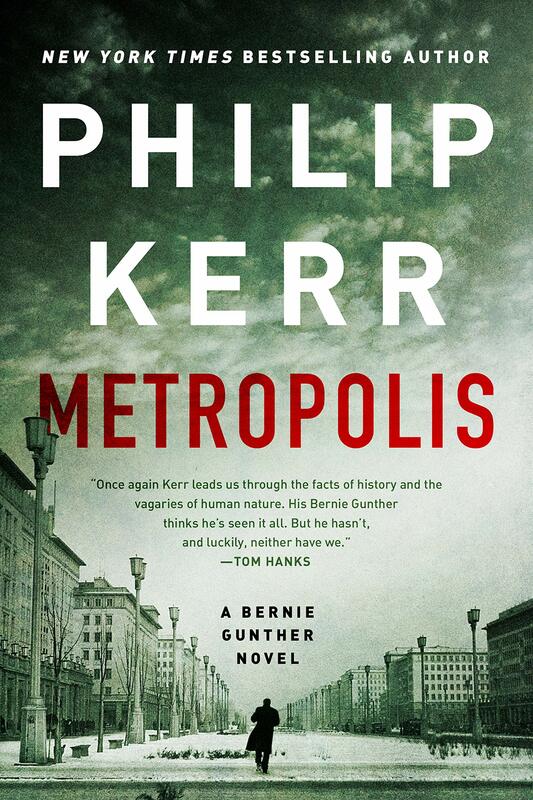 In this final Bernie Gunther adventure, completed just before the untimely passing of author Philip Kerr, Bernie is tossed into the deep end of the investigation on his first day there and must sink or swim while navigating the complex intradepartmental politics. Meanwhile the yellow press is having a field day mocking the cops and rehashing the clues the murderer is leaving behind, including a bank note, a badge, signs of gang activity--so far they’ve led nowhere, so are they red herrings, taunts, or something more sinister? The top brass of the Murder Squad think Bernie is a rising star and has the goods to become a topnotch detective. Solving this one would be a good start. Hardcover available. $28.00. In a follow-up to her award winning first novel, Block 46, Gustawsson skillfully weaves together the events of 1888 as Jack the Ripper is terrorizing London, and the present day as a woman is found brutally murdered in the manner of a serial killer they locked up ten years previously. Did he have an accomplice or is it somehow a copycat? Or did they lock up the wrong man? Scotland Yard profiler Emily Roy again teams up with Alexis Castells, a French true-crime writer and the action moves quickly in short, intense chapters switching Sweden and London, past and present. When a popular actress is abducted in Sweden the fear is she’s the next victim and will be found in the same brutal fashion. How Roy and Castells piece together this extraordinary puzzle and how the Whitechapel murders fit into this twisted tale just may leave you breathless. 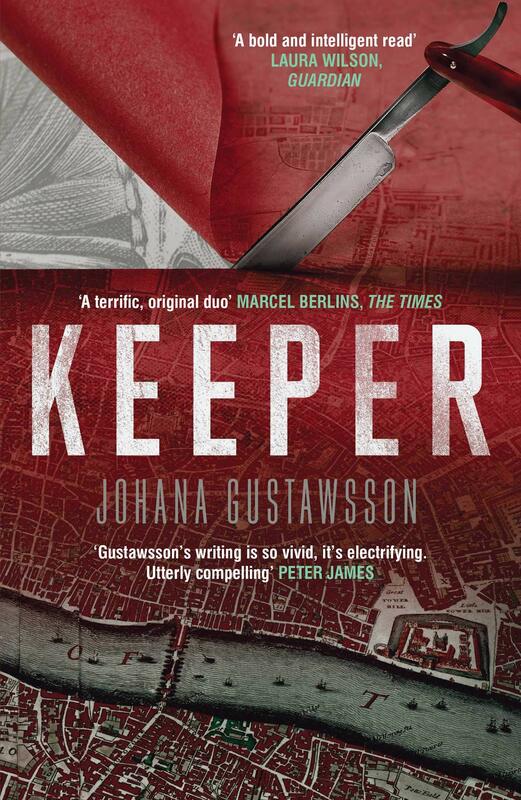 Gustawsson’s plotting is ingenious and should please fans of Jussi-Adler Olsen and Mo Hayder. Paperback available. $14.95.